Among Harvard’s many brick buildings and church spires is one aspect that cannot be overlooked: Harvard’s many bridges. Harvard’s bridges have a lot to offer depending on the person. They can be the perfect picture location for the roaming tourists. 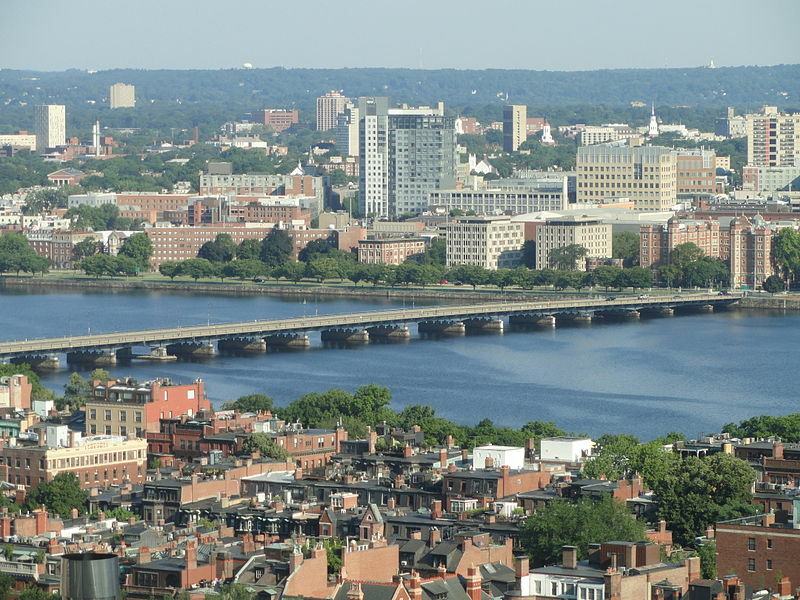 They also provide the ideal location to jump into the supposedly safe Charles River. Most of all, though, they serve as a convenient path for joggers. While each bridge serves the same main purpose, literally bridging the gap between Cambridge and Boston, Harvard’s bridges each have a distinct personality to explore. A rendering of the proposed Anderson Bridge. Not pictured: construction. Anderson Memorial Bridge, better known as the bridge that’s been under construction since who knows when, may seem aesthetically unpleasant. One would have to know what it looks like underneath all the dust and barricades from construction to truly make a judgment on that, though. Regardless, Anderson Memorial Bridge is the bridge hub. Constantly busy, it offers its own microcosm of Harvard with well-dressed business students crossing to go towards Harvard Square in one direction and athletes coming from Harvard Yard going in the other direction, with the usual mix of tourists in between. If one can ignore the tight spaces and fences from construction, it’s even fun to take a picture on it. Perhaps the best thing about the Anderson Memorial Bridge is its use as the perfect location to take a picture of another bridge: the John W. Weeks Bridge. For now we’ll just have to wait until construction is completed another eon from now. With its elegant red brick and white railing, it’s no wonder many find the John W. Weeks Bridge to be a romantic spot. This bridge seems to live up to everything people could expect from Harvard bridges. It offers several opportunities that Harvard’s other bridges do not. Daring people who wish to jump off it can take the chance without cars watching and claustrophobes who just need a wider bridge to cross than the Anderson Memorial Bridge can go ahead and take all the space they need. But beware: For those who wish to jump, chickening out means jumping onto the concrete. That definitely hurts more than water! Harvard Bridge must be Harvard’s most famous bridge if it bears that name, right? 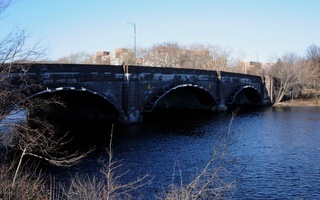 Wrong— Harvard Bridge is actually located at the Massachusetts Institute of Technology. It’s a mystery why MIT would have a bridge named after Harvard, but regardless of the story that determined that, it bears the Harvard name, so it really should be included in this list of Harvard’s bridges. The Harvard Bridge sits nestled between MIT and Boston and actually offers a nice location to ride a bike or sit and look at the collection of skyscrapers across Cambridge. It even has a cameo appearance in Robert Luketic’s 2008 movie, “21,” as a bicycle path. Is it technically not part of Harvard? Maybe, but home is where the heart is, and we’re sure Harvard Bridge has its heart at the school whose name it bears. Will Head Fans Find Charles Clean?